After many careful years of study of materials, structural rigidity and shape Dogma was born as a happy synthesis of design and technology. It’s a loudspeaker without compromises, an innovative project which utilises a cabinet in carbon and glass fibre, conical speakers in treated cellulose, a steeple made of silk and a crossover which adopts patented components. Furthermore, continuous regulation of the low and the mid-high frequency are both finalised to optimise the result in any room and at any distance from the wall. Each element of the Dogma system is the best for its specific function. Throughout these years, thanks to the gracious availability of Soprano Alida Berti and the supervision of Conductor Stefano Abbado, with a comparaison test between the recorded and the “live” voice we succeded in eliminating, through various devices, the barrier between the “real” and the “virtual”. From these extensive trials was born an experimental concert supported from the record company G7 Music where for the first time it was possible to put side by side the “live” voice of soprano Alida Berti and her voice previously recorded and reproduced by Dogma system. As for ClaraVox tradition, Dogma system utilises only loudspeakers and components of Italian origin with a high level of reliability. 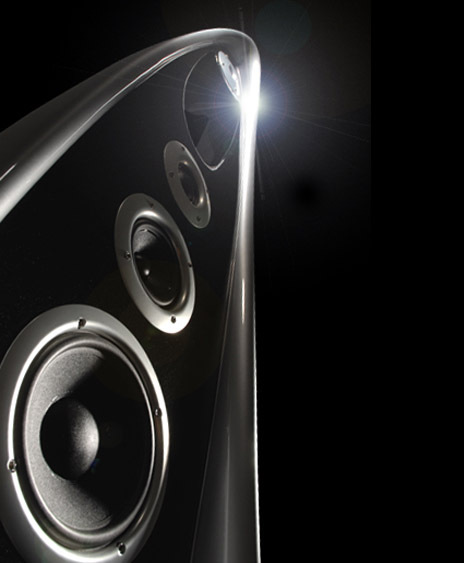 These prerogatives, together with a unique design which doesn’t require parallel walls, allow the Dogma system to obtain acoustic performances which establish themselves a new reference for their category in any environment and at any amplification.